And now a slightly longer than usual rant: The problem with the o2 network disclosing mobile browsers’ phone numbers that I repeated 2 days ago (and it appeared on our co-op website) snowballed yesterday to the point that it was on the short bulletins from ITN, BBC, IRN… and probably many more. And then o2 fixed it. Good! The reply claims that it’s only since 10th January which is rather at odds with other claims that it has been happening since at least March 2010 in some situations. I started buying from o2 in December. I was using Three, but their network where I stay in Norfolk isn’t reliable and you can’t just buy a device in a shop for The Phone Co-op. The dongle from o2 is a recent Huawei USB device that just worked in debian and was fairly easy for me to get working in Ubuntu. There’s space in it for a memory card, so maybe I could boot from it… but that’s an idea for later. The o2 deal is OK but not great, and the included wifi is nowhere near as good as it looked: when it says it includes “BT Openzone” that doesn’t include any of the “BT Openzone-H” hotspots that are much more common. You’re only allowed to register one device for wifi, so no using your phone, tablet and laptop at different times! I can’t believe it’s legal to advertise that as “unlimited wifi”, but o2 is still a better offer than access to “BT Openzone-H” hotspots at £39/month (yes, that’s the price for wifi-only…). Ultimately, I think the problem is that there’s a rubbish choice of mobile (wifi or 3G) internet access providers in the UK. It’s a completely and utterly failed market, so you need to use Virtual Private Networks and similar tricks to protect yourself from the dysfunctional networks. My VPN meant my mobile number was safe: how about yours? 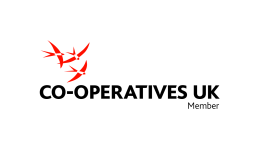 As luck would have it, I had already proposed a resolution about protecting customer privacy to The Phone Co-op (affiliate link) for our AGM on Saturday 4 February (if you’re a member, let me know). We were trying to find a compromise wording and I don’t think this little o2 scandal has hurt my proposal at all! At least the phone co-op’s mobile service is based on Orange’s network, which wasn’t affected. How does your network perform? There’s an Internet Service Provider evilness test which might tell you. This entry was posted in Community, Democracy, Education, Training and Information, ThePhoneCoop. Bookmark the permalink. I may have missed it, but I didn’t see any claim that this has been happening on O2 since March 2010. The linked page references Collin Mulliner’s March 2010 CanSecWest presentation, which identifies the same thing happening on other networks. You could be right. A similar claim appeared on http://www.bbc.co.uk/news/mobile/technology-16721338 based on a current reply, and it looks from contemporary press reports that Orange was named by Colin Mulliner in 2010, but it’s not clear from the published presentation and paper if he had tested o2 back then, is it?